For the inside scoop on a rare opportunity to acquire a unique masterpiece, contact Sara Jessie Real Estate Services in Edmonton, AB or visit Sara Jessie TV and inquire about Symphony Tower. A rare opportunity to acquire a unique masterpiece. Sara Jessie Real Estate Services - RE/MAX River City – Edmonton’s premier real estate agency, is working closely with developers of the much anticipated Symphony Tower high rise adjacent to the grounds of the Alberta legislature. A true architectural masterpiece, the Symphony Tower has been designed as an urban retreat surrounded by majestic parks with fantastic views of the river, downtown, and the High Level Bridge. Condos in the building are starting out below $300,000, and Sara Jessie Real Estate Services is set to move several units already. The Symphony Tower will offer seven different floor plans ranging in size from just over 600 square feet to just under 1400 square feet for condos. There are also penthouse and townhouse options avialable. Each unit is named after a famous composer from Beethoven to Chopin, and each unit has a balcony. Everyone in the Symphony Tower will have a fantastic view of something, whether it be the lights of downtown, the North Saskatchewan River, the Alberta Legislature, or the surrounding parks. Sara Jones and Jessie McCracken, the principals of Sara Jessie Real Estate Services have together closed over 400 properties in the Edmonton area. 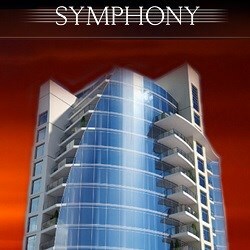 They are very honored to be involved with the sales of Symphony Tower. The uptrend dynamic in Edmonton Real Estate makes this a perfect time to get into Symphony Tower, either as a resident or investor. Sara Jessie Real Estate Services is positioned to help both kinds of buyers get into Symphony Tower at the beginning stages of its development – while it is still affordable. Sara Jessie Real Estate Services uses powerful Internet marketing tools, like Sara Jessie TV to market properties all over the Edmonton area. Highlighting specific properties like Symphony Tower, Sara Jessie TV has the Edmonton Real Estate scene reeling. Combined with traditional real estate marketing practices and good old fashioned foot work as well as word of mouth, Sara Jessie TV gives Sara Jessie Real Estate Services an edge over their competition. Sara Jessie Real Estate Services helps sellers and buyers all over Edmonton achieve their goals. They have developed a 10 step custom marketing formula for sellers to get their properties the exposure and "sizzle" required for a quick sale at the desired price. For this reason, Sara Jessie has been invited to help increase exposure of the fantastic new project, Symphony Tower. Meet the Sara Jessie Real Estate Services Team!Between the qualified team of Real Estate professionals and Sara Jessie TV, Sara Jessie Real Estate Services can provide for any and all of your Real Estate needs.